The Strand Magazine is hosting a giveaway! Want to celebrate the holidays with the Strand Magazine? Then get ready for The Strand Magazine Giveaway! 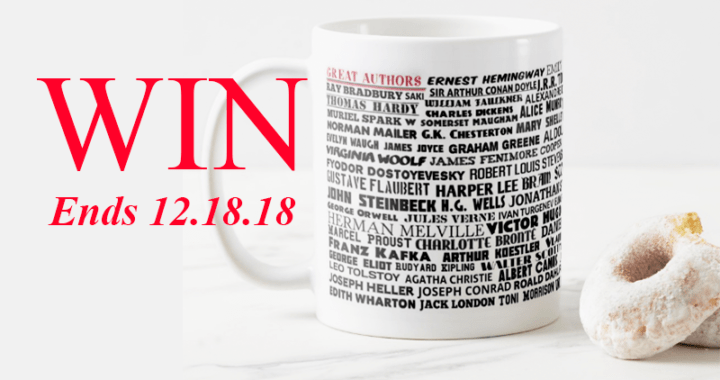 Enter now for a chance to win a coffee mug featuring all of your favorite authors! We’re celebrating 20 years of The Strand Magazine, and we want to share this anniversary with you! Whether you’re a writer, an avid reader, or (probably) both, you have been a part of what makes this magazine so special. 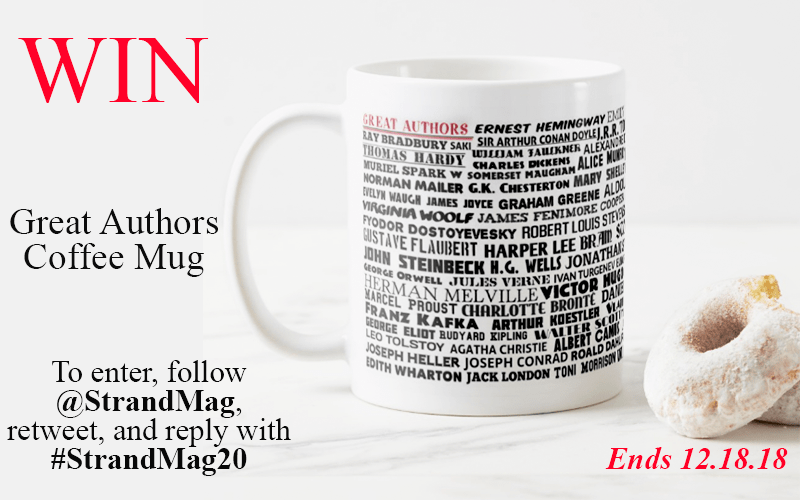 So, to say thanks, we are giving away the Great Authors Coffee Mug to one lucky winner! Using Twitter, follow @StrandMag and reply or quote our pinned tweet using #StrandMag20. Share your favorite authors, books, or short stories with us! Follow us now! We want to hear from you. Contest will run from December 1, 2018 at 12:00AM EST to December 18, 2018 at 11:59PM EST. Participants must have a Twitter account to enter. Participants must be following @StrandMag on Twitter, use #StrandMag20, and tag @StrandMag in the tweet to enter. Winner, subject to confirmation of eligibility, will be chosen at random and contacted via DMs. Winner will have 7 days to respond after notification. Any attempt by any participant to obtain more than the stated number of entries by using multiple and/or different identities or Twitter accounts will void that participant’s entry. We advise our followers to not spam your feed with repeated tweets. Participants must not violate any of Twitter’s terms & conditions with their entries. Contest will run from December 1, 2018 at 12:00AM EST to December 18, 2018 at 11:59PM EST. Open to the United States of America.